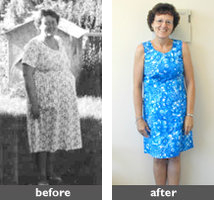 Bariatric Surgery is an amazing life-changing experience for most patients. In order for people to experience long-term success, it is imperative that they work closely with their primary care practitioners. For that reason, we require all our patients have the endorsement of their PCP before embarking upon weight loss surgery. We explain to the prospective patients that we always require a referral from their PCP and any specialists involved in their care because it is our intention to work closely together for the individuals long term success. We offer a multi-disciplinary, comprehensive program that begins with education, extensive psychological evaluation, dietary evaluation and consultation, history and physical, evaluation by a physical trainer and a fitness program. Some patients may need a longer preoperative program which we would customize to their particular circumstance and in some cases engaging the services of our medical weight management team as well. Long term follow up, education and support is a cornerstone to our patients success. Here again, we will work with the patients PCP’s and specialists toward that end. We encourage prospective patients to take the first step of inquiry on their own as best they can to promote and support a sense of personal empowerment. Please feel free to provide our toll free number listed above , or website address to contact us directly. You are also welcome to fax a referral to 541-245-4808 and we will be happy to schedule your patient to attend one of our bariatric symposiums which is the first step toward evaluation for bariatric surgery with our program. If you would like to have some of our brochures to offer your patients, just give us a call. We’ll be happy to send some out to you. It would be our pleasure to get together to share with you, your colleagues and office staff some valuable information about bariatric surgery, the risks and benefits as well as details about the procedures we perform, the components of a comprehensive program and what is involved in long term follow up and care of a post op bariatric surgery patient. Please feel free to contact us at 541-930-7819 to schedule a meeting with one of our surgeons and bariatric nurse practitioner. We look forward to hearing from you! I knew the program was for me. From the very first phone call to SOBC, I knew this was the program for me. The six weeks before my surgery were invaluable to me. I received nutritional counseling, physical therapy, exercise instruction and constant support.